We are very excited to let everyone know that the Universal Design Meets the Exit Sign promotional video has also now been released. Check out the new website too, there’s lots of great information. “Thanks for your comment and question. 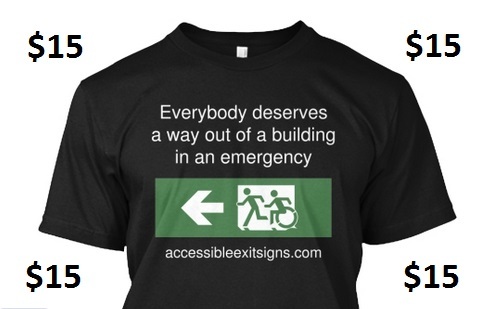 The signs will be available in the US very shortly, we’ve just signed up our first licensed partner to the Accessible Exit Sign Project (and are accepting other partners now too). The design is being offered as a variation from the ISO 7010 / ISO 21542 example and is considered to be a more inclusive design. We do however acknowledge that when using any design solution that varies from a specific countries building code or technical standards it must be approved by the relevant authority. However, many countries now have ‘performance-based’ building codes and facilities are getting more and more reliant on fire engineering to satisfy building code requirements – this could be one of those areas that is considered. We are confident that the inclusion of the new recognizable Icon will benefit any exit sign strategy. We also acknowledge that this may take some time for adoption, given there is still some parts of the world debating whether to use the “EXIT” word on exit signs or the Running Man design (Australia changed over in 2005). But regardless, the use of the new Icon could also be used to complement the design of locally required signs, and this is certainly the case with the Australian Braille and tactile exit door sign, which has the Icon above the required words in Braille and tactile characters (see my profile photo for an example). Australia and New Zealand have performance-based building codes and these signs are now on the market which can be adopted as part of an ‘Alternative Solution’. “An ‘Alternative Solution’ has been defined as a building solution which complies with the Performance Requirements other than by satisfying the ‘Deemed-to-Satisfy’ provisions. The Australian Building Codes Board has been quoted as stating that the use of a performance-based approach to compliance “provides practitioners with a strong degree of flexibility to determine the most appropriate means for demonstrating compliance with the relevant Performance Requirements”. This therefore allows some level of creativity in how compliance (or a compliant building solution) can be achieved. A performance-based approach could be extended with the use of enhanced exit signs under a fire engineered solution. Such a solution could be used to show an accessible means of egress to a safe place outside the building, a safe refuge within the building or the locations of evacuation lifts (or elevators). We would like to announce that Braille Sign Supplies in Australia is now a licensed partner of the Accessible Exit Sign Project. Braille Sign Supplies stocks a large range of fully compliant Braille Signs and also proudly manufactures custom Braille / Tactile signs to assist people who are vision impaired. Using quality materials and superior craftsmanship, they offer fast delivery Australia-wide with a large range of Stock Braille Signs to choose from in their online store. They also offer their clients the opportunity to stand out from the crowd with Custom Braille Signs made to order, with or without the use of the ‘Accessible Means of Egress Icon’. All signs provided come complete and ready for easy self-installation. Braille Sign Supplies signs comply with Australian Standards, the Building Code of Australia, and Wayfinding Guidelines, and feature perfectly rounded beads to create a smooth and user-friendly raised tactile Braille text. We would like to take this opportunity to thank Braille Sign Supplies for their support of the Project and commitment to improving the built environment for people with disability in the form of supplying accessible exit signs. We would like to announce that Safety Sign Sales Limited in New Zealand is now a licensed partner of the Accessible Exit Sign Project. Media Release 5 January 2015 Licensed Partner – Safety Sign Sales Limited. Safety Sign Sales Limited is New Zealand’s leading supplier of Safety Signs to schools, industry, small and large businesses. Safety Sign Sales has been creating and distributing signs both to the retail sector and the wholesale sector for over 20 years. They also proudly support a network of local Christchurch businesses to create their extensive range of signs. We would like to take this opportunity to thank Safety Sign Sales Limited for their support of the Project and commitment to improving the built environment for people with disability in the form of supplying accessible exit signs. Publish this important guidebook to FREE accessible, audio and eBook formats, as well as converting the text to an accessible website. My name is Lee Wilson and I’m a Disability Access Consultant in Melbourne Australia. I work in the built environment trying to improve the level of accessibility in new buildings, existing buildings and those being refurbished. For over two and half years I have specialized in one area – accessibility. Check me out on LinkedIn or at my website http://leewilson.com.au/. I strive to improve accessibility and make the world (or at least the buildings within it) better, safer and inclusive for all. I’ve been working in building compliance and accessibility for a number of years and recently completed a degree where I had to research and write a thesis. I chose a topic close to my area of expertise and spent over 12 months researching evacuation considerations for people with disability. My thesis was completed, but I kept writing as I knew there is a need for this book. I have several qualifications in building surveying, risk management, construction management and project management. I was amazed to find that the needs of a large percentage of people in society are not considered when they need to evacuate a building. In Australia, as well as many countries around the world, this means that we have very accessible buildings and laws that require buildings to be accessible, inclusive and equitable for all in terms of access into the building, and to services within the building. BUT… that’s where it generally ends, there is very little consideration for how to get people with disability OUT during an emergency, particularly those faced with barriers such as fire escape stairs. That’s where my book comes in. The guidebook is currently available from https://accessibleexitsigns.com/evacuation-guide/ as a free PDF download. It’s filled with great information about this area, presented in an easy to read format, with cartoons, intermingled with quotations collected on the issue that send an important message. I want to make it FREE or as close as free for all people in all formats. I want to get this message out there in other FREE formats – as an audio MP3 chapter book, large print book, plain text book, and other eBook formats. Did I mention I want to give this away for FREE, or as close as I can to free on eBook hosting websites. I also want to load the text and cartoons onto an accessible website, with links to download the document in differing formats and to listen online. This project also includes all associated costs to develop, prepare, host and maintain the website, “disabilityevacuation.com” for the years to come, this is my personal commitment. At the end of the day, I just want this information in the public domain. The guidebook contains 154 pages in total, including useful information with considerations for all building occupants, including people with disability. It also includes templates for personal and group emergency evacuation plans (PEEPs and GEEPS). Though the book discusses the legislative requirements in Australia, the concepts are applicable in any building, in any city or town, in any country of the world. As far as I know, this is the first such guidance book on the topic in Australia. Interested in this project? 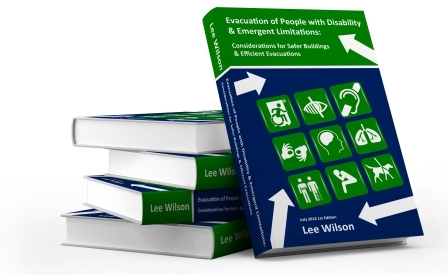 Please go have a look now, as the book is available as a PDF download for FREE and you can preview the entire document online – https://accessibleexitsigns.com/preview-the-guide-here/, note, this has not been published in hard or soft copy and is available from this website in PDF format only. As mentioned above, the current version of the guidebook is currently available as a free PDF download and is primarily being used to promote the Accessible Exit Sign Project and features the proposed ‘Accessible Means of Egress Icon’ on each page. This project will see a new revised version released, without the emphasis on the Accessible Exit Sign Project and promotion of the Icon. A significant proportion of people entering these buildings could be exposing themselves to an unacceptable risk every time they enter – unless their needs have been considered and the necessary plans for their safe evacuation are in place. Help workplaces and employees work collaboratively to develop personal emergency evacuation plans. Provide guidance to employers and facility managers, so that they may identify opportunities to reduce risk and provide a safer built environment. The PDF initial free version (version 1) has been downloaded several hundred times already, any problems or corrections have been made during this time.  I now have a team of professionals, each an expert in their own field waiting to move to the next stage of this project (as discussed above), which will see a new version (Version 2) released, without promotion of the ‘Accessible Exit Sign Project’ and ‘Accessible Means of Egress Icon’, and a more international flavor.